SEO is a means of optimizing or making your webpage or site visible to search engines for natural search results, that is, the higher ranked on the search result page, the more visitors and organic traffic that would be received on that page. SEO has really helped so many bloggers and web owners in terms of earning and one good thing about search engine optimization is that it helps to drive real human traffic to your blog. Today’s stroll, I would brief you on the Top 10 Google SEO Tips to follow in 2014. Quality content is always the key towards blogging and google respects that. So provide fresh contents free from plagarism, and also contents that are easy to read. Remember that you’re not writing for search engines primarily, so get the contents understood also by your readers. By doing so, your webpage would be easily optimized by search engines and engaging your readers would help to reduce your blog bounce rate, don’t forget that good contents engages your blog readers. The use of keyword in the title of your content is another fast process towards SEO, and it also helps in ranking your search results. Few other keywords in your content, unlike subheading and body of the content also enable the visibility of your web page to search engines. 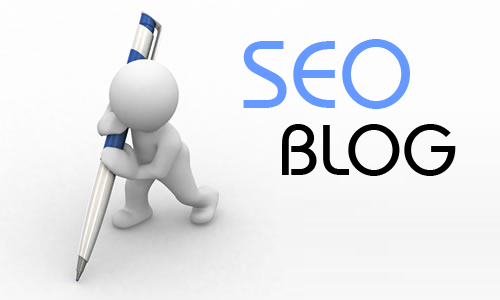 Applying one or two keywords to your post permalink is another good process towards search engine optimization. So before publishing any post on your blog, always check in for the post permalink to be sure that one or two keywords are visible in the link. I.e Post title; top seo tips, link; http:www.guruswizard.com/top-seo-tips.html. The use of alt tags and title in all your images helps in search engine optimization. And most times, try to avoid copyrighted images in other to free your web page from plagarism. Also try to optimize your image size to speedin the server load time. This is another good means toward search engine optimization, fixing a couple of contextual links that points to other pages of your website also help in SEO. So try to apply these links on every page of your web pags. And incase you’re linking to other webpages (outbound links); always make sure that it’s to a good site, not spammy ones. With good interlinking, it provides Google Page Rank being shared among your web pages. Talking of website or blog optiization, it means reducing the load capacity. Take note that if your blog takes a longer time to load with high data usuage, it directly affects the visitors that you receive on your webpage thereby causing a reduction of your daily traffic. So, the best way to optimize your blog is by removing any invaluable scripts from your blog or rather, get a premium theme that is being optimized already. Google page speed tool can be of help, to ensure if your website or blog is fully optimized. Submiting your website to search engines like Google, Yahoo and Bing is another good way towards search engine optimization. In fact, it is the first step to take towards that. Once your webpage is being submitted, your web pages would be indexed for good search results. Submiting your website/blog to directories helps to quicken your pages in terms of indexing and also invites much more traffics and backlinks to your webpages. This is an important role towards search engine optimization, causing your site to be easily navigated by adding pagings on your webpages and also applying sitemaps also gives hand in optimization. Try to make sure that you have “index follow” in robots tag that helps to tell the search engine spider to index your pages. This is a very vital role towards search engine optimization causing your web pages to be well indexed by search engines. Applying keyword in domain can also help in ranking your search result. Just make sure you have a keyword in your domain for better optimization by search engines. Conclusively, in the era of blogging, we know that content is the King while SEO is the Queen, so working on the tips mentioned above renders you the best pathway towards blogging. C'mon be social and share this brief tutorial. I must add that sharing in social networks like Facebook, Twitter, Pinterest, Google +, LinkedIn,etc should not be ignored when it comes to SEO in 2014. The search engines also give credence to the social shares of websites for ranking! This comment was shared in kingged.com - the social bookmarking and content syndication website for Internet marketers where this post was shared. Thanks for stopping by sunday. Well, social network is another good move towards seo in 2014. SEO is like a calculus u say, but easy when starting from the foundation. Well, with the above key tips mentioned, ure 90% close to full optimization. You've covered some basic and fundamental aspects of SEO. Sure, they are like pillars of SEO. Addressing these basics will sure lend a helping hand in getting to the good books of Google. One thing I'd like to add to the list is mobile friendliness. In the recent times, it seems like Google has been taking lot of care of mobile web users. I guess mobile optimization is soon going to play a much important role in SEO. I found the link to this post at Kingged. Yes, u're right, keeping ur webpage mobile frndly is another tip, well that tip can be still based on blog optimization. Wow what a nice informative article. Seriously thank you for sharing this post among us. I was searching for last few days about search engine optimization and finally I got the tips here. The 10 tips are very useful and I will defiantly use it.